Lord of the temple is praised in the Thevaram hymns of Saint Tirugnana Sambandar. 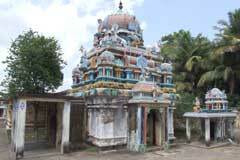 This is the 18th Shiva temple on the northern banks of Cauvery. Maha Shivrathri in February-March; Tirukarthikai in November-December and Aipasi Annabishekam in October-November are the festivals celebrated in the temple. 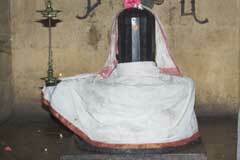 Lord Shiva in the temple is a Swayambumurthy . 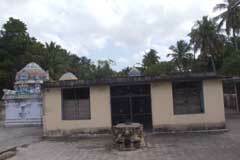 Sri Kadaimudi Nathar temple, Shivan Koil Street, Keelayur-609 304, Nagapattinam district. +91- 4364 - 283 261, 283 360, 94427 79580. 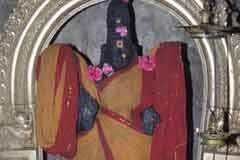 Adhi Murthy of the temple Lord Kiluvai Nathar is under Kiluvai tree in the prakara. There is also a Nandhi before Him. Lord Subramania with His consorts Vaiili and Deivanai is in a shrine in the prakara. 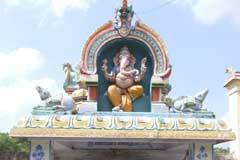 Sri Vinayaka of the temple is worshipped as Lord Kadaimudi Vinayaka. Majority of the devotees seek wedding boon in this temple. Others come to seek the pardon of Lord for wrongs committed by them. The temple is facing west. Cauvery flows westward. As Lord Shiva protects the world even during the Maha Pralaya time-the uprising of the rivers and oceans destroying the world, He is praised as Kadai Mudi Nathar – Lord rescuing beings even on the ending day, according to sthala puranas. Shiva Linga has 16 stripes known as Shotasa Linga. Wealth is classified under 16 heads, hence it is believed that those worshipping Kadaimudi Nathar will achieve all the wealth. The Navagrahas in the prakara are on a hexagonal avudayar seat facing right side. The planets are not in a regular line. They are looking front and back to each other. Lord Dakshinamurthy has a ring only in one ear. The other is plain. Lord Bhairava too has a ring only in one ear. Mother Abhirami is all merciful. Her shrine is facing south with an entrance. Woman awaiting marriage use to tie Mangalstra to Her for early wedding. When marriage proposals conclude happily, they take back the mangalsutra, tie it on their neck, worship Her and leave it then again with Mother. Their belief is that doing so would ensure the longevity of their mangalsutras till the end of their life. Due to his pride, Lord Brahmma incurred the curse of Lord Shiva. 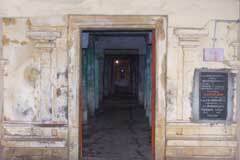 For relief, he performed Shiva Puja in many places including this place. 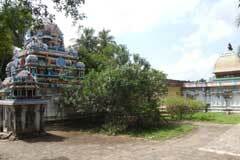 Lord Shiva granted darshan to Brahmma under this Kiluvai tree. When Brahmma sought pardon and relief, Lord told him that the relief would come to Brahmma at an appropriate time. 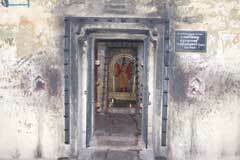 As requested by Brahma, Lord Shiva stayed in this place. 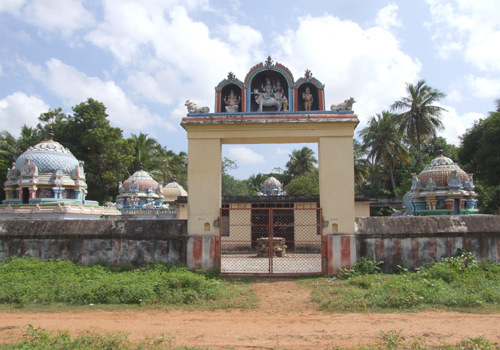 Sage Kanva also worshipped Shiva in this place and attained salvation. Miracle Based: Lord Shiva is a swayambumurthy in the temple. 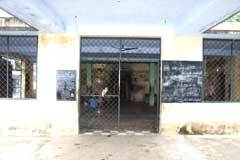 Keelayur is 12 km from Mayiladuthurai. Buses are available only at specific hours. The temple is 1 km far from the bus stop.